Sherlock Holmes on Top Gear! 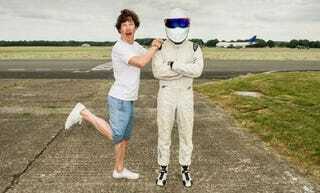 Benedict Cumberbatch was Top Gear's Star in a Reasonably Priced Car on Sunday. He wasn't particularly quick, though, setting a time of 1:47.8, good enough for 5th out of 10. Video after the jump.